Oh I cannot wait for this. Love the style mimicking the vintage trailer look. Considering we've only seen photos and no footage, I'm taking a wait and see approach. I'm sure they'll pull it off. As for Dunaway being let out of the home, no. Keep those doors locked and bolted at ALL times! I hope this is good, but I am having doubts it will be. Why do you say that? It's got a fantastic creative team, and undoubtedly will be deliberately campy and stylized in spots. I don't think we can make any judgements prior to seeing any footage. True, I just don't want to be disappointed that's all. Also unsure about the casting. Well, somebody didn't pull any punches! Love it! Well, Faye doesn't seem to pull any punches, either -- even at 6:14 AM! Funny, she talks about working with Johnny Depp and "the wonderful Marlon Brando," but doesn't mention working with legendary Bette Davis! I wonder why? And that's just the first one. Somewhere I found the whole series of messages she left and saved them. For real?! Get me my smelling salts! Sally Draper… now those are DMs worth sliding into! As she tumbles onto the tarmac, we quickly realize that more than Joan's ankles are smashed. She attempts to kidnap a child. A reporter struggles to get one good line out of her. So I was wondering if any of you astute people know if those autos are accurate. I know they'd probably never find "dead ringers" (see what I did there??) for either star, both much more beautiful IMHO than the ladies they're playing, but if maybe they'd gone with unknowns they might have come much closer. Just a thought. Davis's features are so unique that it's hard to think of anyone who looks like her. 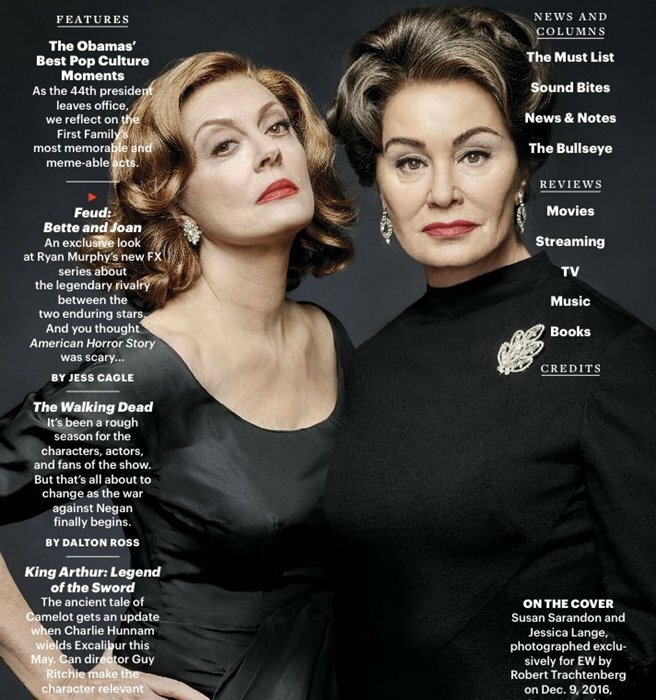 That EW cover awed me: Sarandon looks far more like her than I anticipated. I'm impressed she captured the look so completely. Lang too. YOU'RE right again Joey! Who cares about the automobiles its the "PERSONA" we are wanting to see. So neither one of them are "dead ringers" (I liked what you did there), but the make up and (HOPEFULLY) the acting will transport us into the JUICY Story!! 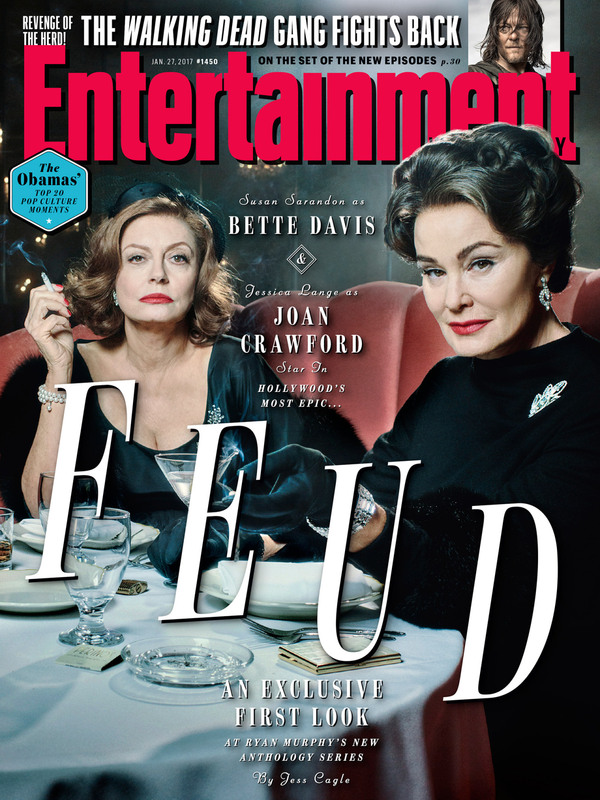 That "DAMMIT JOAN" and the sweet "HELLO BETTE" makes me want to shake up some Cosmopolitans and watch the show! Plus I saw a pic online somewhere and my GAWD did Susan's make up capture the essence of Bette. Something no LUCY actress/makeup person was EVER able to do. AND speaking of "CAPTURING PERSONAS"... I had occasion to visit with a recently NEW friend of mine last night. He was hanging out with me in the little broom closet I rent for a king's ransom.. 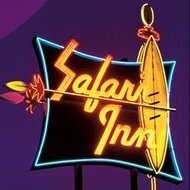 Anyway, I had taken to "bending" the rules where I reside and decided to make my "Jail Cell" somewhat comfortable ... so posters and trinkets and mugs and signs of LUCY are on the walls and shelves. (To keep my sanity!) 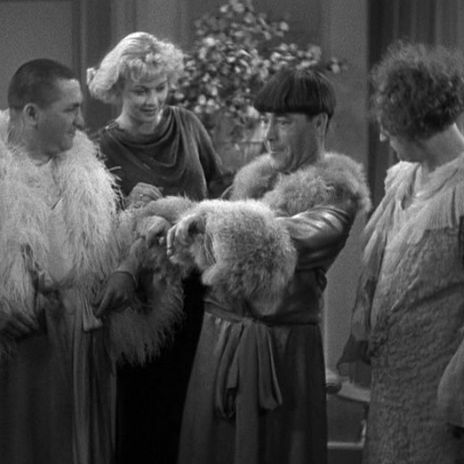 So the new friend knows who MY DIVA is lol.. We were watching a dvd I had of some "Colorized" Three Stooges episodes and he was telling me that the Three Stooges were his "THANG" while growing up. He proceeds to inform me on some things I didn't know and verified other things I already knew. 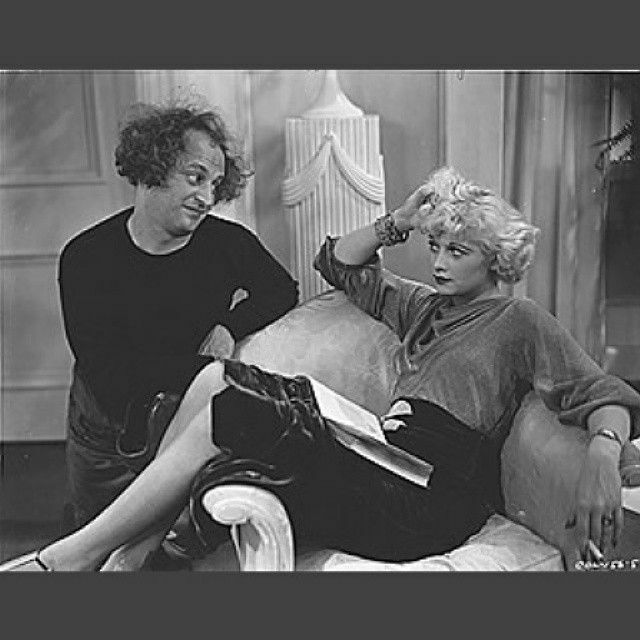 Then he mentioned that he knows the Stooges as well as I knew LUCY. So I was now INTRIGUED.. especially when he announced to me that my DIVA did a "few" Stooges Shorts and that she had brown hair back then. WELL... I found a clip on YOUTUBE where the Platinum Princess is talking to Larry and Larry says some jargon (To Lucy) in PIG LATIN (my friend is quizzically seeing this unfold) and Larry finishes with "You wouldn't know anything about that would you" and Lucy says " OH -OH NAY"
Well his face lit up and he exclaimed "OH MY GAWD!!! I didn't even recognize her!! I mean until she said her line because (and he was SHOCKED because he had no idea lol) "THAT VOICE is definitely HER".. So long story short.. those dames don't have to look just like Bette and Joan as long as they capture the ESSENCE. 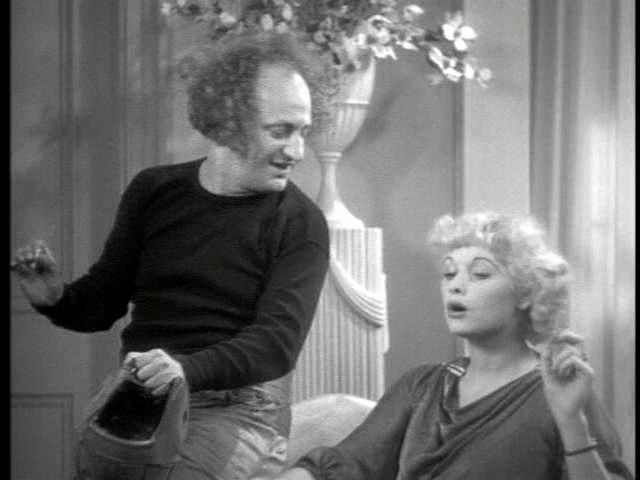 Well...I dunno about her having done a "few" Stooges shorts, but she *definitely* appears in this one!